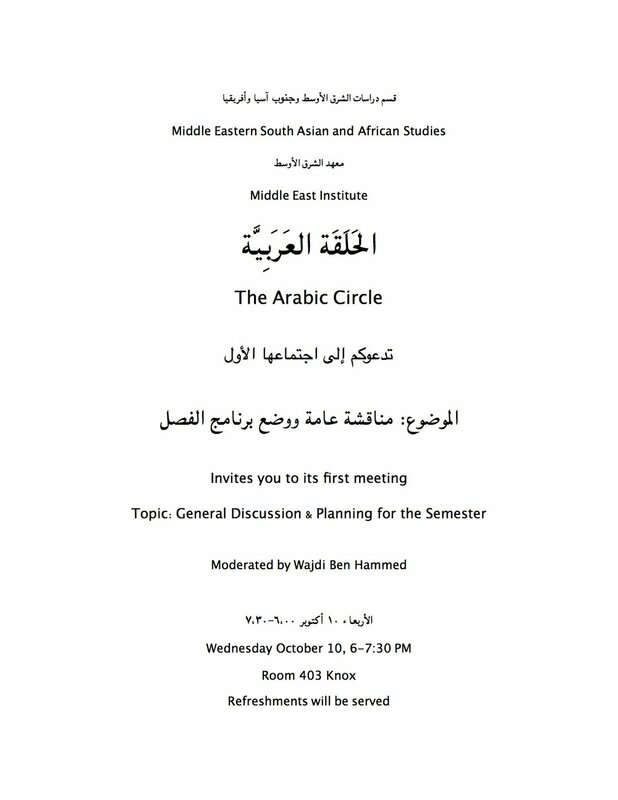 The Arabic Circle invites you the first meeting of the semester. Topic: General Discussion and Planning for the Semester. Moderated by Wajdi Ben Hammed.